When someone searches for the idyllic word in the dictionary, it should appear associated with the name “Costa Brava”, a stretch of winding coast, full of life and rabidly colourful landscapes. 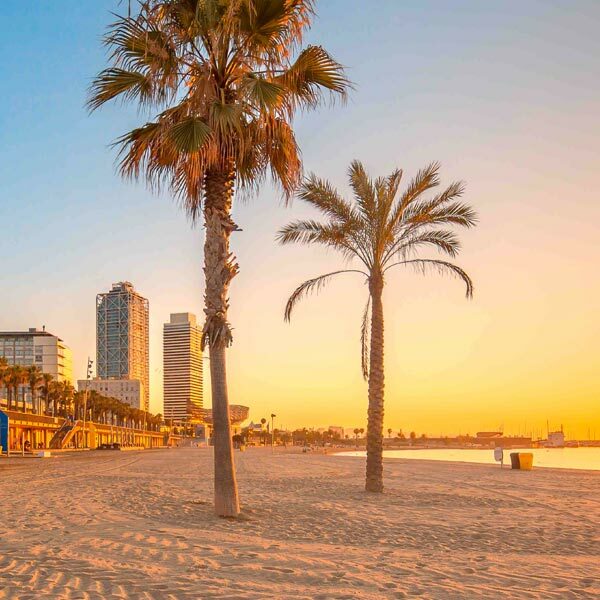 This coast has been able to inspire characters like Salvador Dalí or advertising campaigns like those of Estrella Damm (typical Catalan beer brand). It saves multitude of fine sand little beaches with turquoise waters, rocks that penetrate in the same sea, and pine forests that seems to dance with the rhythm of the wind blowing in these lands; the well-known “tramontana”. With any doubt, it is one of the Mediterranean areas with the most genuine personality. Costa Brava leisure offer is not limited to the small romantic coves, also has beaches with Blue Flag, a badge that recognizes the beaches quality at all levels; services, access, security, etc. a perfect place for families and people with reduced mobility, but not without desire of living the feeling of being inside a postcard. Undoubtedly, it is a land to be lost, to forget the time and to discover. Small fishing villages, museums, paths and forest in natural parks, fish restaurants and freshly caught seafood, etc. a unique and unforgettable experience to live in first person.